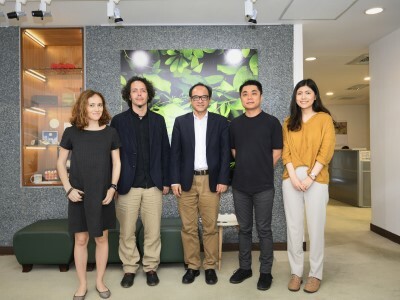 Welcome and glad to have our special guests from Spain, the Director and Producer of Festival Proyector: Mario Gutiérrez Cru as well as María Jañez ! 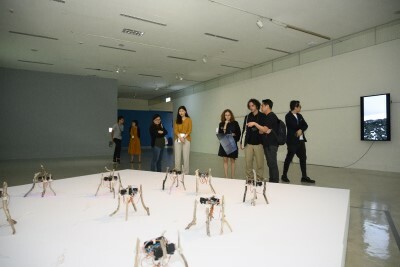 After a short meeting with Director of NTMoFA, our in-house curatorial team accompanying the Prof. Chiu (who is also the co-curator of Post-digital Anthropocene that is on now in the museum) led a guided walk through the exhibition halls. 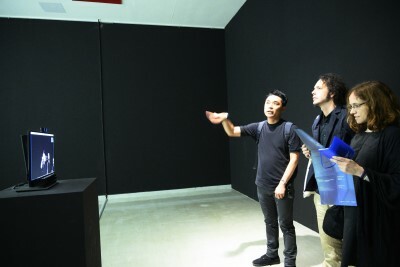 Besides been given an introduction on Post-digital, Mario and María visited the must-see digital art exhibition curated by Yu-Chuan Tseng, Immortal on Screen, and other profound works, especially the video, interactive and automated installations. ©國立臺灣美術館 民國98-107年 版權所有 / 內容更新： 108-04-23.